Selected as Party of the Day on March 22nd! Ryleigh's love for the beach and ocean inspired me to create an underwater adventure in our house. 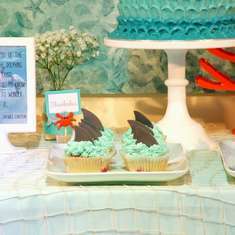 I converted my entire dining room into an underwater theme. 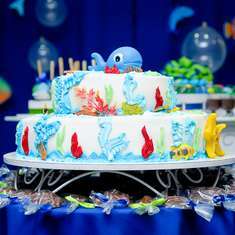 From the ombré of waves on the wall, to a coral reef collage, and all the fun food, this party was a huge success and a lot of fun to plan and decorate. Everyone had a great time, including the birthday girl! 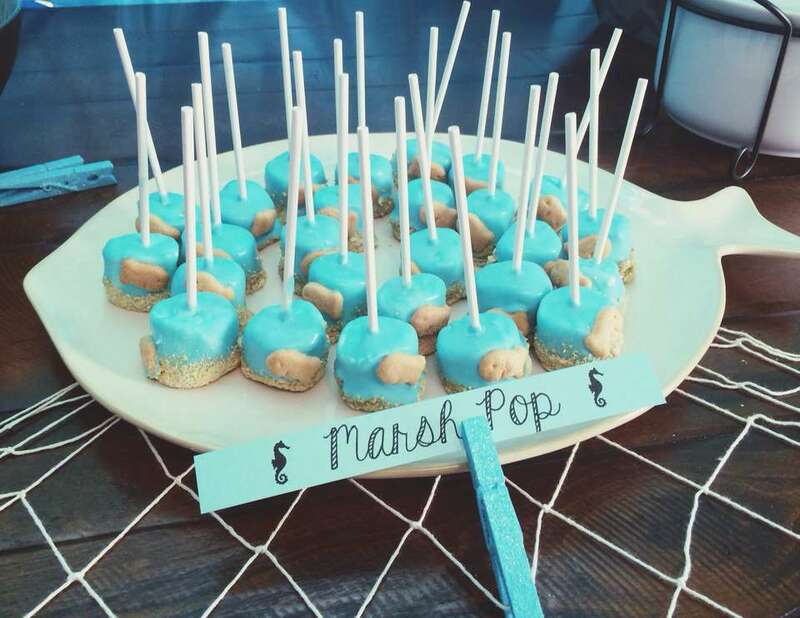 Strawberry mermaid cake, cupcakes, and marshmallow pops. Sand art necklaces and treasure hunt find. 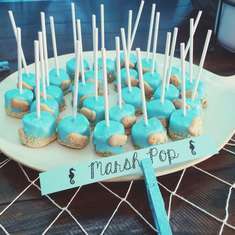 Sand art, treasure hunt, playground, trampoline, corn hole for the adults. Croissant sandwiches and a variety of snacks and fruit. Singing happy birthday to the bday girl and watching her open her gifts. 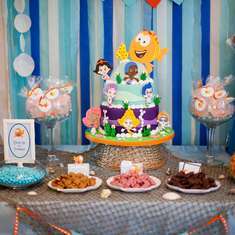 You gave me so many great ideas for my daughter's party! Thank you!